As far as I can recall, the southern islands have always been a good place to wet a line. 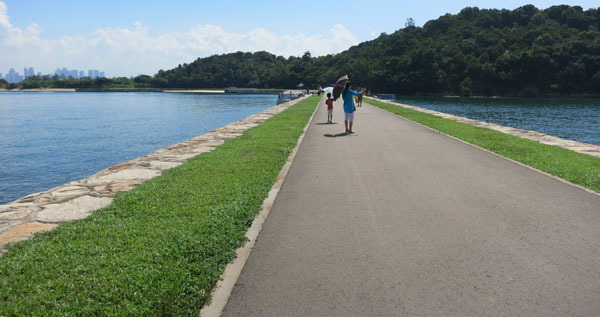 And of all the islands Sentosa, Kusu and St. John's Island are most easily accessible as there is a public ferry service plying these 3 islands. 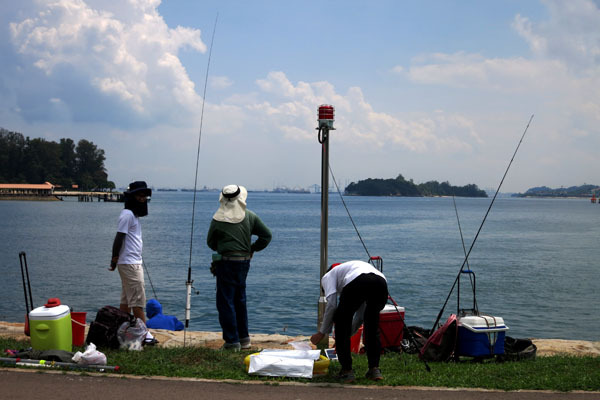 Unfortunately, as it's always the case in Singapore, I heard that Sentosa's Management has ban fishing on the island itself, so that leaves us with Kusu and St. John. And if you have been to either of these islands, you will be aware that other then places where it's allocated for swimmers and the jetties that the ferry uses (during when the ferry is in operation), the rest of the places around the island, especially the wave breaker are good for fishing. This write up will not cover those places but instead focus on a specific location on St. John's Island that is getting rather popular with anglers. To get to St. John Island, you need to catch a ferry from the Marina South Pier. The ferry will bring you to both St. John's Island and Kusu Island for $18 (at the time of writing). On arrival to St. John Island, look to the left side of the jetty to the far end where there is a causeway build to connect Lazarus Island and St. John Island, that's where we should be heading for. Image below shows the causeway to head for. If you look closely, you should see a couple of humps on the structure. Below those humps are channels where water will flow under. Imagine the volume of water around the surrounding area all trying to squeeze through these few channels during the change of tides and you should understand that the current through the channels are enormous. Incidentally within the inlet of these channels, depending which side the current is flowing, are where you will find most of the bait fish, like Selar and Kunning. Looking across the causeway, you can see Lazarus Island. 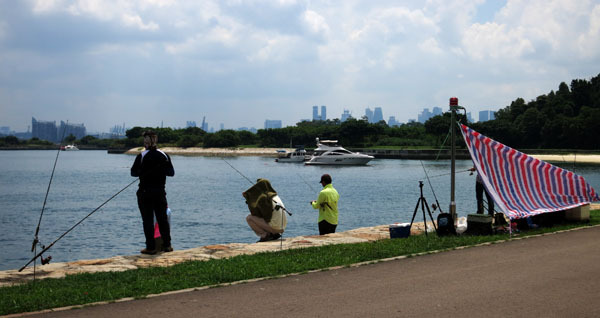 There are many areas where you can fish on Lazarus Island itself, but we will have to leave that for another time. And as you can see in the pictures above, there isn't any shelter on the causeway and it can really get hot on a sunny day. 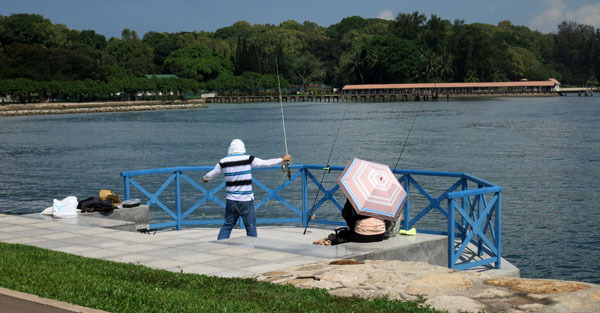 Do bring a lot of liquid and build some makeshift shelter or wear a hat and long sleeves shirt, if you decide to fish here. Looking to the left you will see the jetty for the ferry and the mainland on the background. Most fishing method will work here. There are bottom fisherman, lurers, baiters, float anglers, anglers luring for squid and they comes in all shapes and sizes. Some anglers targets the biggies and other are there to catch the smaller species.